With its Entrepreneur Camp, Apple is trying to do something positive to support women tech entrepreneurs. Apple is trying to do something positive to help end the gender gap in the technology industry with a new program to support women entrepreneurs building businesses around apps. Apple’s Entrepreneur Camp will consist of an intensive technology lab, specialized support, and ongoing mentoring. It is certainly a good thing that one of the world’s leading tech firms is attempting to do something to help create new opportunities in the industry for women. That the company is launching this scheme reflects its own work to realize a more diverse workforce across Apple. Its latest Inclusion & Diveristy report goes into great depth at the work the company is doing to create a more balanced workforce. All the same, the company remains mainly white and mainly male. Now Apple is putting money on the table to help nurture the emergence of more female tech industry leaders. “Apple is committed to helping more women assume leadership roles across the tech sector and beyond,” said Apple CEO Tim Cook in a press release. 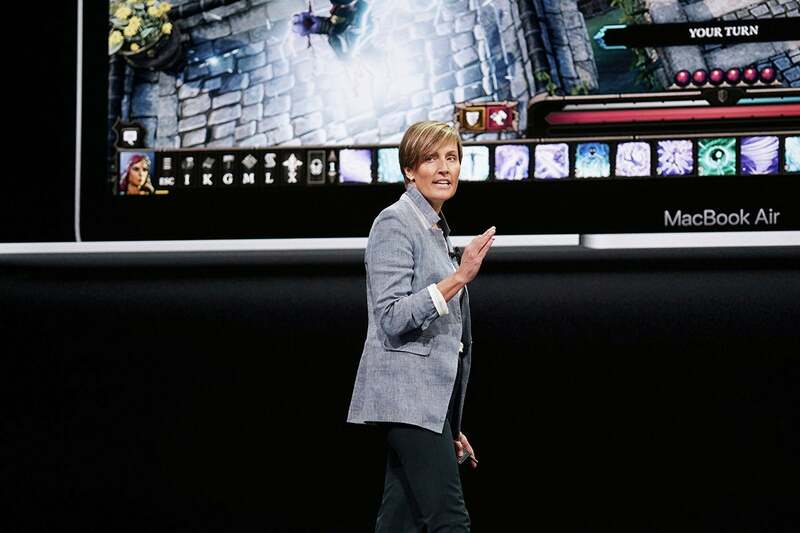 The new program also has the support of Apple’s senior director of Worldwide Developer Marketing, Esther Hare. Several years ago when I wrote "Technology is sexist," I observed that as of 2013, just 0.4 percent of female college freshers intended to major in computer science and that this number had halved since 1985. I still don’t believe this is because women aren’t interested in or aren't capable of working in this sector. A STEM report claims: "In the U.K., girls are shown to outperform boys in subjects including Science, Technology, Engineering, and Mathematics." Apple knows the tech industry must urgently do something to inspire these smart women to enter the sector. Even in logical terms, it needs them to. The industry is already straining to find more engineers, leaders, and visionaries just to meet its current needs. Everyone Can Code is not wholly altruistic, though it helps. As digital transformation impacts the lives of everyone on the planet, tech industry recruitment will inevitably go into overdrive. Despite these realities, there’s still a gender gap. Women launching businesses in the tech sector face genuine problems getting the support they need. Apple’s press release observes that female entrepreneurs received just $1.9 billion in venture capital funding in 2017, compared to $83.1 billion for men. So far this year, just 2.2 percent of VC funding has gone to tech startups founded by females. Women-owned businesses are growing more than two times faster than the U.S. national average. Women-led tech startups deliver 35 percent higher ROI than tech startups led by men. A 2013 Fenwick & West survey revealed that 3 percent of the top 150 Silicon Valley firms had no female directors, and 40 percent had just one. Yet a 2013 analysis of the top 100 S&P firms found just 2 percent of those firms had no female representation at board level. A 2011 Deloitte report warned when it comes to the imbalance on corporate boards, "it could take until 2075 for women to reach parity with men" if progress continues at its current pace. In the 2012 U.S. workforce, women held 57 percent of the jobs in all professional occupations, but only 26 percent of the jobs in professional computing occupations. Not to mention the everyday sexism women in every industry encounter. There are strong arguments to counter that claim, not least the need to celebrate positive female role models and the disempowering nature of all form of institutionalized prejudice. However, the fact that the argument is used at all underscores the need to provide opportunities through which diverse groups can learn what they need and show their skills and enthusiasm in the sector. “We pave the sunlit path toward justice together, brick by brick,” Cook once wrote. Apple’s new scheme in its way may become one of those bricks. Sessions take place quarterly, with a cohort of 20 app companies accepted for each round. The pilot session will include 10 companies. Once accepted, each company will be able to send three people to Cupertino, California, for a two-week immersive program at Apple’s campus, including one-on-one code-level assistance with engineers, sessions on design, technology and App Store marketing, as well as ongoing guidance and support from an Apple Developer representative. They will also receive two tickets to the following year's WWDC. I'll be interested to see those apps.